Mortgage Principal Reduction - How it can Fix a Troubled Mortgage! Simply put, mortgage principal reduction is the best way to fix a troubled mortgage. It can prevent strategic defaults and foreclosures. Under the expired HAMP guidelines, investors were offered incentives for principal balance reductions. 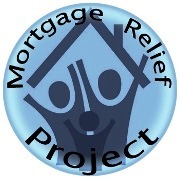 Currently, you can apply for other mortgage relief assistance programs like “The Hardest Hit Fund”. 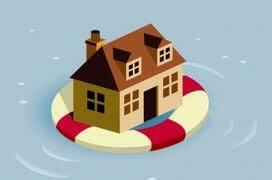 these programs offer mortgage principal reduction assistance to underwater borrowers. How Do I Get a Principal Reduction? The best way to understand your chances for receiving a principal reduction is to look at your situation from your lender’s point of view. Let’s say for example you owe 200K on your mortgage and your house is currently worth 100K. If the bank forecloses on the property and resells it, substantial costs will be incurred in the process. Ultimately, your lender would probably recoup somewhere between 50-100K. Alternatively, the bank could reduce the mortgage principal balance. This will increase the chances that the homeowner will continue to make payments and preclude the losses of foreclosure. Given these alternatives, a middle ground that can often be negotiated with the lender. you may also find that the current holder of your mortgage note purchased it at a discount. This would make them more willing to negotiate a principal balance reduction. IF YOU ARE A DISTRESSED HOMEOWNER SEEKING LASTING SOLUTIONS FOR A TROUBLED MORTGAGE, MORTGAGE RELIEF PROJECT ADVOCATES EXPERIENCED FORECLOSURE DEFENSE ATTORNEY REPRESENTATION FOR MORTGAGE MITIGATION. Find a Foreclosure Defense Attorney in My State! You can find a foreclosure attorneys that is experienced in mortgage mitigation and familiar with available programs guidelines. Doing so will ensure that you submit a successful request for assistance the first time around. A foreclosure defense attorney is in the best position to get get you the best possible outcome, so don’t take chances. ALL MRP promoted foreclosure attorneys offer FREE foreclosure attorney consultations, so find out what your options are today! If you have remained current on your mortgage payments, the HARP program is one way of reducing your mortgage principal balance. If you have fallen behind on payments, the HAMP and other loan modification programs might be the right choice. In addition, there are “Hardest Hit” funds available to qualified homeowners. The best way to get a realistic assessment of your chances of a mortgage principal reduction via the loan modification process, is to discuss the details of your situation with an experienced foreclosure defense attorney. No one can promise or guarantee the specific outcome of a mortgage negotiation. However, an experienced foreclosure attorney is in the best position to assess your chances of obtaining a principal reduction. Find a Foreclosure Defense Attorney!